I know I promised you surprises and treats with Blogmas - just like a virtual advent calendar. Well, today, I'm here to deliver. 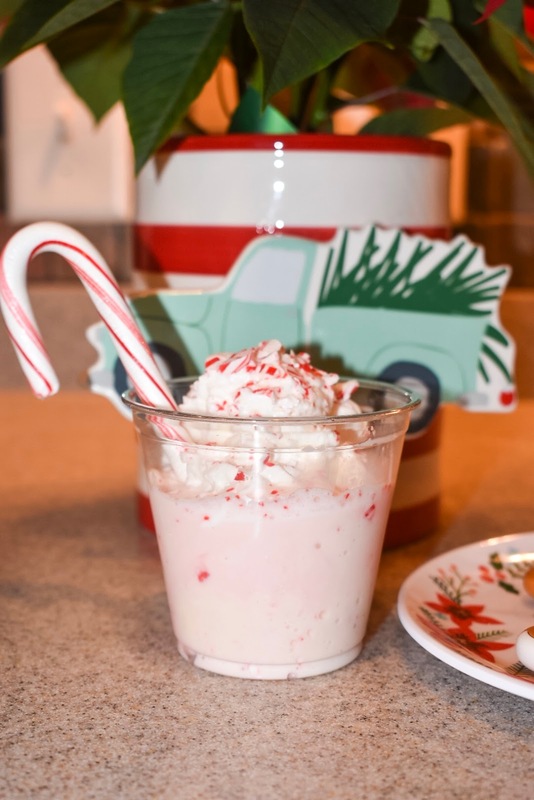 I've crafted up a sweet treat for your holiday eats - a candy cane milkshake! It's fun and festive and full of flavor! Peppermint mocha from your favorite coffee chain has nothing on this milkshake. 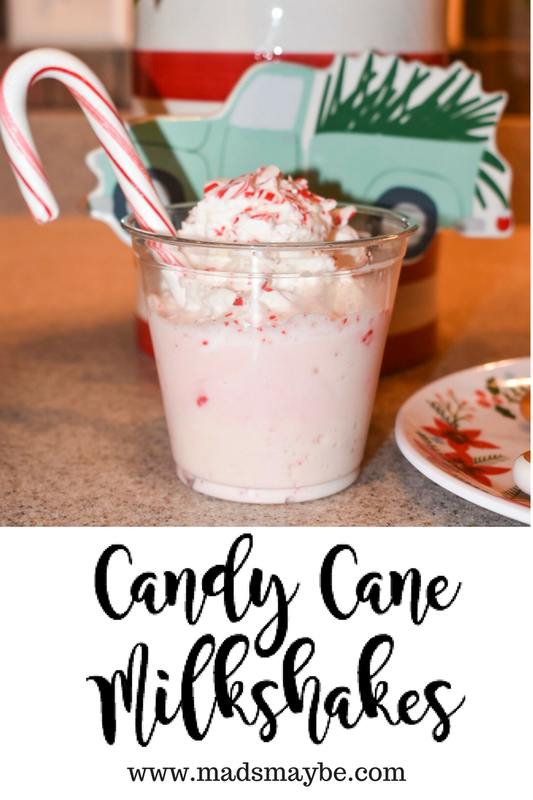 Blend the ingredients to create your candy cane milkshake and top with whipped cream and the other half of your candy cane crushed. I added an extra candy cane into the milkshake for garnish! Isn't she cute? I love that the crushed candy cane turns this shake light pink! Not to mention, the milkshake is delicious! If you love peppermint and minty flavors, you'll definitely love this. 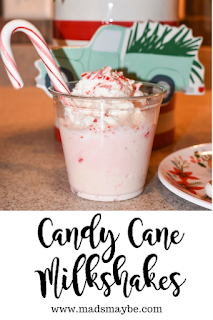 The whipped cream and leftover crushed candy cane on top is a must - it makes the milkshake extra festive and adds more fun flavors into the mix. I'm still not over how cute it is! I don't know how your weather is in December, but in North Carolina, we still have days in the 60s. If you're also embracing the last few warm days of the year, a milkshake is a great sweet treat in place of hot chocolate. Or you can have hot chocolate one night and a candy cane milkshake the next because December is treat yourself month! You can never have too many sweets at Christmas time. Additionally, these milkshakes make the perfect dessert for your Christmas parties and festivities throughout the season. They're easy to make and they're definitely Instagram-worthy. I know your guests will be so impressed. 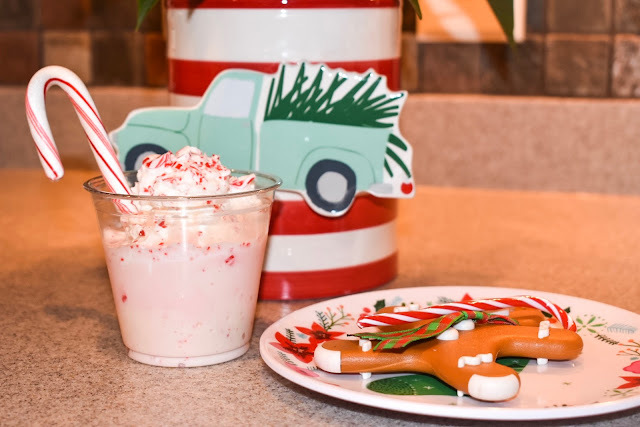 Be sure to check out this post for even more over-the-top milkshake decorating ideas and tips for serving these gems at your next party. 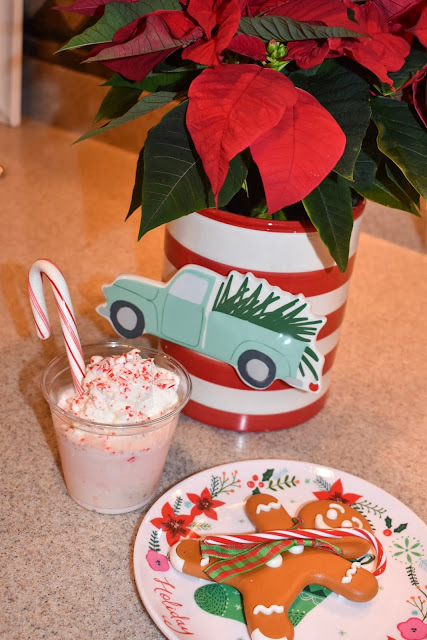 I want to see pictures when you're making your candy cane milkshakes this season! Tweet me, tag me on Instagram, or post on my Facebook page! 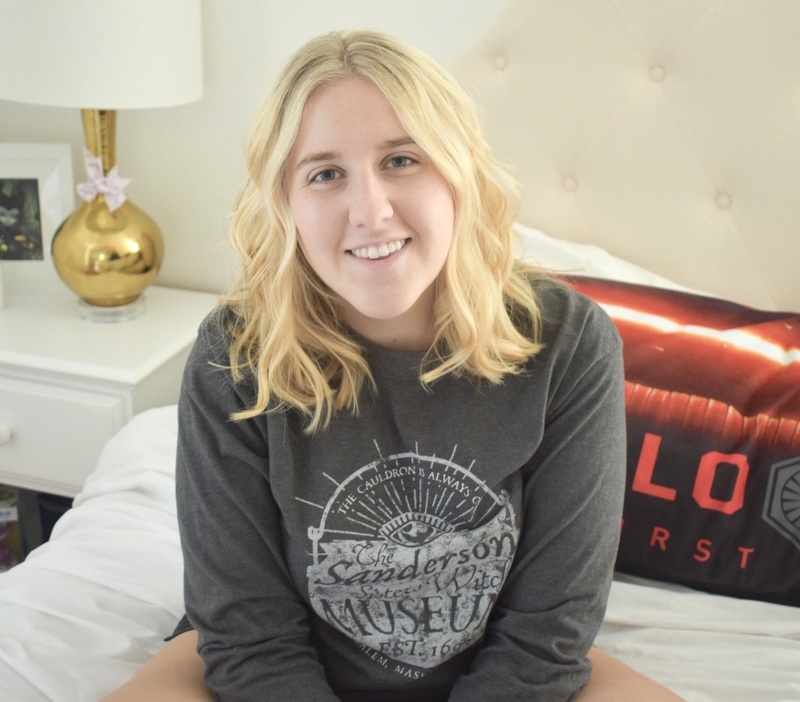 It will make me SO happy to see your pictures and hear your thoughts!